We provide wide range of Hydraulic Shreaing Machine which facilitate distortion and burr free shreaing of Mild Steel (M.S) OR Stainless Steel (S.S) sheets . These machines are easy to operate with reliable hydraulics, Cylinders are mounted on top side of machine for better strength and stability. Further good hildings by hydraulic hold down before shreaing eliminates slippage of sheets. 4 mm thick MILD STEEL (M.S)plate up to 25 mm thick M.S Plate. the standard cutting length is 2500 mm and 3050 mm, longer machines up to 6300 mm can be manufactured as per customer requirement. ConventionalHydraulic Shreaing: Back gauge is manually operated from rear side of the machine. 2 people are needed to set the back gauge, one for operating the gauge and another for verifying the gauge position. B)NCHydraulic Shreaing:All operation are through 7" full color touch screen. Machine can also be operated from foot switch. ConventionalHydraulic Shreaing: Relatively simple panel is used with replay logic. Only two options are available, manual and quto mode. C)NCHydraulic Shreaing: You can create the cut plan, wherein, the auto back gauge (servo motorised) will automatically go to the desired position, as you have mentioned in the program. ConventionalHydraulic Shreaing:No such option is availablle, since the back gauge is manually operated and set. ConventionalHydraulic Shreaing:Rack angle has to be set manaually, as desired, it can be set using a selector switch provided on the control panel. Variable rake angle , required for different material thickness. The top beam is guided bt 3 point roller system with replaceable hardened liners for least wear. Alwayse-UK make ball transfer units for easy movement of job. Easy blade gap clearance setting through lever. Squaring arm-1 meter with steel ruler. All shreaing machines come with this standard feature. User can increase or decrease the incline degree of the cutting edge. While Shreaing thinner material, degree can be reduced to cut narrow strips without getting a bow.Also on low rake angle, user can get higher number of cutting strokes per minute. While shreaing thick material, user can increase the rake angle (upto 3.5 degree depending upon the machine model),This enabales the user to shear higher than nominal gauge material. Number of strokes get reduced in high rake angle. World class make (ALWAYSE-UK) Ball Transfer Units are provided on table bed for smooth material feeding. Blade gap can be quickly changed using a lever and Pre-Set Markings. This is required when operator changes the material thickness, to be sheared. All our cylinders are manufactured in house using UT seamless tubes. Bore of the cylinders is precisely honed to mirror finish to maintain dimensional accuracy and long seal life. Cylinder rod id ground and hard chrome plated for scratch proof operation. world class seal kit is used for leak proof operation. (Operated from rear side of the machine) Back Gauge is provided which can be operated manaually, using a handle from rear side of the machine. A ruler is provided to set the back gauge. Hardware consists of acme screw, guide bar & gun metal bushing chain & sprocket. 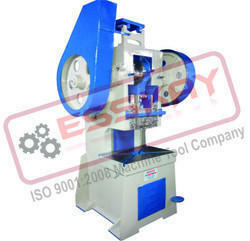 Hydraulic shreaing machinencan be operated using a foot switch in both auto as well as manual cycle. Two seperate pedals are provided for up & down operation which gives better safety. Electric Motor pumps, valves, hydraulic hoses, pipelines & fittings are used of reputed make for better reliability of the machine. Glycerine filled stainless steel body pressure gauge is provided to watch the shreaing pressure. Swing away guard is provided to protect the operator against any accident. Located on the right side, the main panel is assembled from internationally reputed parts for consistent & properly labelled as per internationally practices to help easily locate any fault & replace components conveniently. Moveable foot switch helps control up-down motion of the ram from any convenient position. 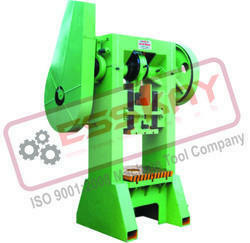 Heavy Duty Squaring arm is provided on the left side of the machine bed. This is set 90 degree with respect to the cutting blade to ensure the squareness of the sheets to be cut. Easily programmablestroke length controlin steps. This comes in very handy to shear wide and narrow pieces in tandem. Multiple Rake Angle can be easily preset by touch screen. Servo motor driven, high speed back gauge will haveretract feature(gauge will retract back while the material is being sheared). User can create,edit and savecut programs so that he does not have to remember the cut sequence for a particular job. Longer Frint Sheet Support (Fixed type) with disappearing stoppers for front gauging. Moving type front sheet supports with linear motion guide ways. Easily programmable stroke length control in steps. This comes in very handy to shear wide and narrow pieces in tandem. Servo motor driven, high speed back gauge will have retract feature (gauge will retract back while the material is being sheared). User can create, edit and savecut programs so that he does not have to remember the cut sequence for a particular job. We are an experienced exporter of a variety of Power Press Machine "C" TYPE SERIES "ECP" machines that are fabricated with the help of optimal grade raw material sourced from our reliable vendor base. Furthermore, we stringently test our range on several quality parameters as laid down by the industry regulatory bodies. Over the years, we have mastered the art of manufacturing Power Press H-Type SERIES "EHP"machines that are easy to install, low on maintenance, high performing, resistant to corrosion and can be availed at cost-effective prices. Besides, we provide customization for our range of machines to meet the changing specifications and needs of the clients across the globe. We are engaged in manufacturing an excellent range of Plate Bending Machines, which is designed using optimal grade raw material. We supply an enormous range of plate bending machines, which is designed using contemporary technology and tools that help us meet the bulk orders of our customers. Looking for Hydraulic Shreaing Machines ?